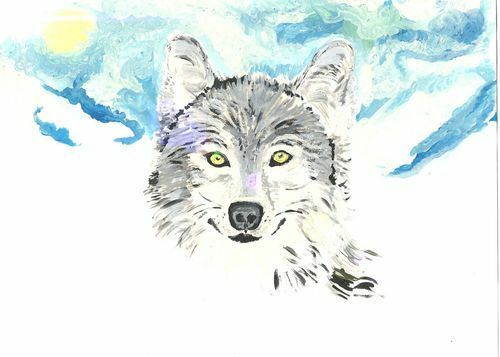 The winter wolf is a painting that is very dear to my heart. The wolf has warm eye's and almost smile's at you with the sun brightly shining in the background. Hello my name is Cathy Turner and I am an artist that currently reside's in Parksville, B.C. Parksville has an amazing ammount of wildlife, which is my favorite subject to paint. I also create greeting card's, they can be viewed and purchased at www.greetingcarduniverse.com simply type in my name Cathy Turner, and you will be able to see all of my designs created into greeting card's. I will also peronalize greeting card's for any one that love's that special touch.